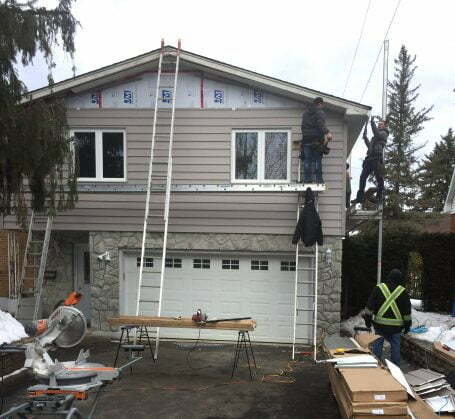 After battling the snow and windchill the last few weeks, our vinyl siding crew find themselves hard at work in Ottawa’s Alta Vista neighbourhood. This time around: no snow, no windchill. We’ll take it! If your spring home improvement list has a line item for new insulation and/or vinyl siding, give the team at BestCan a call. Our professional crew is at the ready to help refresh the exterior of your home and enhance the curb appeal.